The Amplified Solutions team members were among the early industry pioneers involved in shaping the multi-carrier concept and business model that is commonly discussed at Telecom conventions. Our team has strong industry experience in the negotiation, design, build and integration of distributed antenna systems with a collective 114 years experience in the telecommunication business. The founder. Rob Todd, has chaired numerous regulatory bodies including those with jurisdiction over the wireless industry, negotiated hundreds of contracts, and has managed dozens of projects with hospitals, professional sports stadiums, outdoor venues, convention centers, hotels and more. Many of our team are former employees of major wireless carriers and are particularly familiar with the unique regional engineering specifications and requirements of each wireless carrier. We are regularly retained by both wireless telecommunication providers and venue owners depending on who is financing the system. We are on the approved list for all four major carriers. We are experienced in the deployment of public and public-service Distributed Antenna Systems, macro sites, rooftop antennas and small cell sites. We are also available to provide consulting services. Each one of those solutions makes sense depending on the type of building, cost, location of building, and use of building. For a full description of our scope of services, please click on our scope of services tab. Whether you are a carrier or a property owner, by utilizing us, you will have a turn-key team that can handle any aspect of a telecommunications project. We maintain excellent relations with all wireless carriers so all sides are served to their satisfaction. We are honored that Amplified Solutions has been named one of the Top 100 fastest growing companies in Houston for 3 years straight. 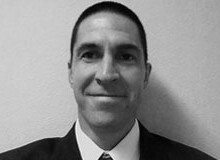 Rob Todd founded Amplified Solutions (a distributed antenna systems company) in 2003. He came to the telecommunications industry through the regulatory and business management side through his role as the Chairman of the Regulatory Affairs Committee for the City of Houston where he co-wrote the city's cellular tower ordinance and presided over proposed changes to the rates charged by telecommunication firms and through years of experience negotiating and drafting business transactions as Counsel. He holds a doctorate in jurisprudence and has a twenty-seven year history as an attorney and business manager in contract negotiation, drafting and compliance. He currently chairs the Tower Commission for the City of Houston which has jurisdiction over 630 square miles in Southeast Texas plus the city's ETJ. He can be reached at 832.788.0306. In his spare time he enjoys spending time with his kids , hiking, and training for next road race or open water swim. Andy has more than 20 years of experience in the wireless industry. He has spent much of that time in Leadership positions, both as a Principal RF Design Engineer and as Management overseeing a Team of other Engineers. Of those years, he spent 17 of them working for the major Wireless Service Providers in Louisiana, California, New York, and Texas. His design experience includes more than 1,000 Macro Sites, hundreds of Small Cells, Outdoor Distributed Antenna Systems as well as In-Building Distributed Antenna Systems in airports, hospitals, convention centers, office buildings, malls, sport stadiums, universities and more. He holds a Bachelor of Science degree in Electrical Engineering from the University of Maine with a Minor in Economics. He has an excellent reputation in the industry for doing things right the first time and building a relationship of trust within his Teams as well as his clients. 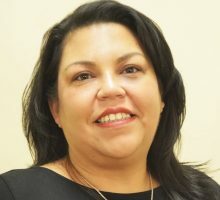 Christine Salazar came to Amplified Solutions in 2017 to oversee all the administrative functions in the office. She joins us with more than 10 years of diverse experience in administrative support, logistics, and marketing. Christine is very involved in local philanthropy, with a particular focus in helping the homeless communities of Houston. 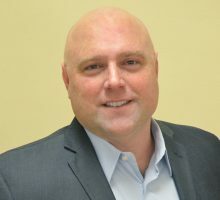 Darin Minter is a lifelong systems integrator and consulting executive with over 25 years managing business and technology projects for both small startups as well as Global 500 clients. 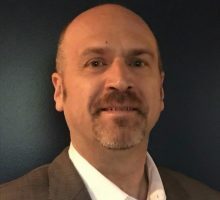 His technical experience spans mobility, analytics, wireless connectivity, telematics, M2M, CRM, API, ERP, cellular networks, and IoT. Darin received his MBA from Lake Forest Graduate School of Management, has a Master Certificate in Project Management from George Washington University and a BS in Industrial Technology from Illinois State University. He also studied with the Aji Network to become highly skilled at the design and fulfillment of transformational offers in a global, knowledge-based marketplace. Darin is a native of Chicago and heads our Chicago office. He can be reached at 847.878.0006. In his spare time he enjoys spending time with his kids and he is an avid cyclist. John hails from Indiana where he has a twenty-year history in business management and sales support. He is a graduate of Hanover College and has extensive experience in the telecommunications manufacturing, distribution and retail industry. He is a regular speaker and instructor in marketing management and sales through his outside firm Sales Intervention & Training.